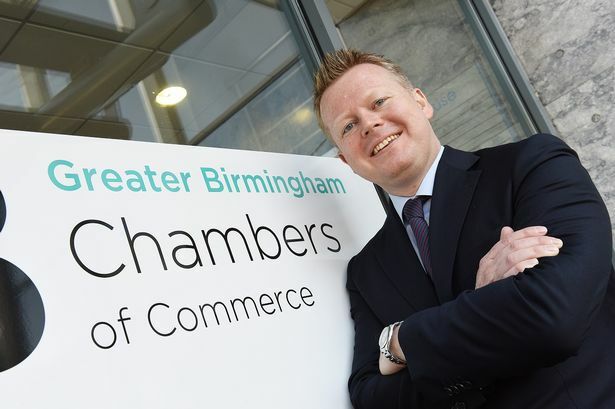 Paul Faulkner became chief executive of Greater Birmingham Chambers of Commerce last year. He was already well known in Birmingham, having been chief executive of Aston Villa and Randy Lerner’s right hand man until 2014. He then spent just under a year as chief executive at Nottingham Forest before taking up his current post. He was also the Premier League representative on the FA main board. He is currently trustee of the Lord Mayor of Birmingham’s Charity, an associate non-executive director of Birmingham Children’s Hospital and a trustee of the Town Hall and Symphony Hall and Cure Leukaemia. Ninder Johal has been the president of the Black Country Chamber of Commerce, which represents more than 1,500 businesses across Dudley, Sandwell, Walsall and Wolverhampton, for the last two years. The managing director of a successful communications and events company, he is also chair of the Black Country Asian Business Association and a board member of the Black Country Local Enterprise Partnership. Born and raised in Sandwell, he is also a board governor of the University of Wolverhampton and vice-chairman of Sandwell College. He will be succeeded by new president Kevin Rogers next month. Sara Fowler has been appointed as chair of the bosses’ organisation, the CBI in the West Midlands, succeeding Mike Wright of Jaguar. She is the senior partner for Ernst and based in the Birmingham office. She was previously national head of EY’s fraud investigation practice and leads the regional disputes service practice. She is an expert in forensic services and has been appointed to act as an expert witness in High Court and arbitration hearings in the UK and overseas. She is a practicing member of the Academy of Experts and is an acknowledged expert in compulsory purchase issues. Graeme Chaplin is the Bank of England’s agent for the West Midlands and Oxfordshire, appointed in 2008. He has experience in banking supervision, economic analysis and financial stability monitoring. He joined the Bank of England in 1992 and has held a number of senior roles. His primary role is to assess economic and financial conditions affecting business in the area and report back to the bank’s Threadneedle Street headquarters, acting as the bank’s eyes and ears in the Midlands. Digby Jones is probably best known for the seven years he spent as an outspoken director general of the CBI and his time as Minister of State for UK Trade and Investment after being appointed by Gordon Brown. He now sits as a crossbencher in the House of Lords and has a number of business roles including chairman of Triumph Motorcycles, chairman of Grove Industries, chairman of the governors of Stratford-upon-Avon College and corporate advisor to JCB among others. He is also an active supporter of several charities including Birmingham St Mary’s Hospice, Cancer Research UK, Sense and Ladies Fighting Breast Cancer. Mervyn King left his job as Governor of the Bank of England three years ago but he remains a trusted financial commentator who can be relied upon to inject a voice of reason into economic turmoil. He is a Fellow of the British Academy and an honorary fellow of two Cambridge colleges, and holds honorary doctorates from nine universities. As well as a crossbencher in the House of Lords he sits on the board of Aston Villa and is president of Worcestershire county cricket club. Impact Hub Birmingham is a Digbeth-based crowd-funded social enterprise which aims to bring creative people, entrepreneurs, activists and doers together to collaborate for a better Birmingham, with change based on innovation, knowledge and networks. Immy Kaur is a director and one of its five co-founders. She holds a masters degree in international development from the University of Birmingham, and is a Fellow of the Royal Society of Arts. She is curator of TEDxBrum and a director of Project 00 of which Impact Hub is a part. Lee Barron is the Midlands regional secretary for the Trades Union Congress. Appointed in 2014, he is the TUC’s senior representative across the region. As such, he speaks for 54 affiliated trade unions and nearly one million workers. Before his appointment, he was a regional organiser for the postal and telecommunications workers union, the CWU, where he was its youngest official. He led high profile campaigns against Royal Mail privatisation and to improve the terms and conditions of communications workers. Ahmed Farooq is chairman of BPS Birmingham, which represents the professional and financial services sector in the city. He is also sector champion for the Greater Birmingham and Solihull LEP. He works as managing director of general insurance at the Birmingham headquarters of Wesleyan. BPS Birmingham supported the launch of the Greater Birmingham Professional Services Academy at Birmingham Metropolitan College.